While President Donald Trump does that thing that he does -- shoving the poles of American public discourse further and further apart -- some journalists have quietly started focusing attention on the fact that the Democratic Party is in horrible shape at the regional and state levels. Why is that, precisely? Inquiring journalists want to know. Obviously, a group like Democrats for Life is going to have a different take on that question than the young activists marching under the Bernie Band banner. Never forget, in the age of Nones, that religiously unaffiliated Americans, along with the core atheist-agnostic demographic, now make up the Democratic Party's largest identifiable choir on matters of morality, religion and culture. With that in mind, check out the headline on that Time magazine cover at the top of this post. 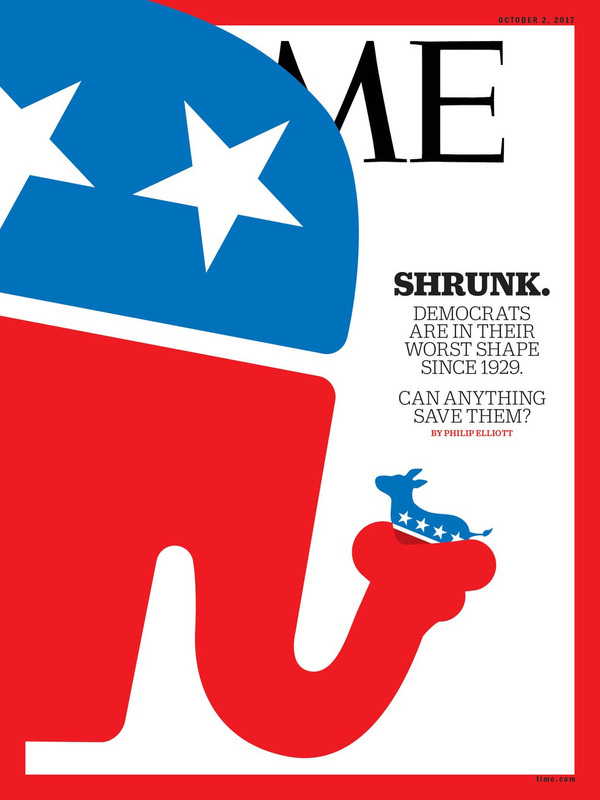 The headline inside is less spectacular: "Divided Democratic Party Debates Its Future as 2020 Looms." Now, if you are old enough (like, well, me) to remember the rise of the Reagan Democrats and the fall of the populist Democrats in the South, then you know that social, moral and, yes, religious issues have played a major role in that political drama. Yes, economic issues were crucial and they still are in the Rust Belt and elsewhere in the American heartland. 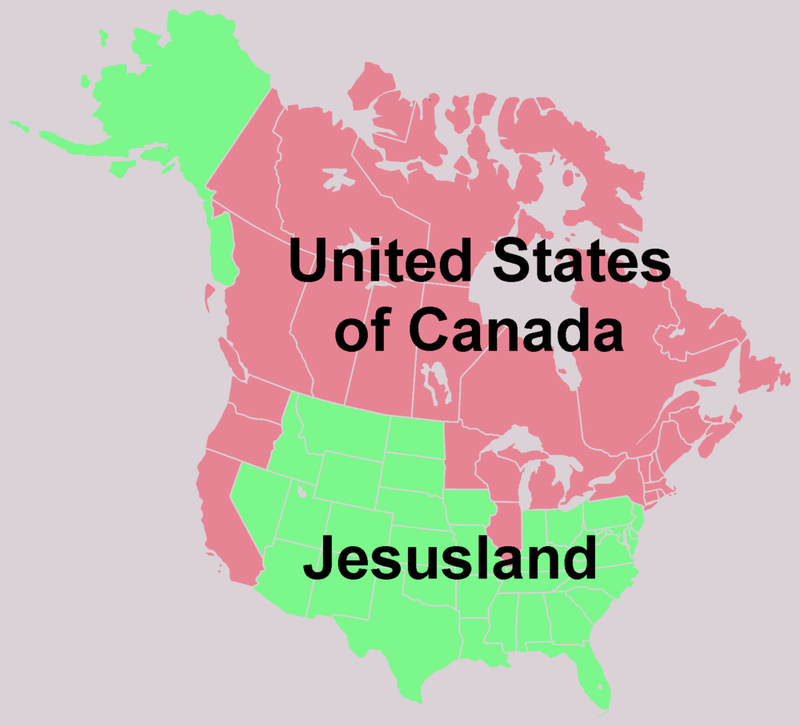 However, there is a reason that wits on the left started referring to "flyover" country as "Jesusland." However, read this Time think piece and see if the political desk there has any clue that the stark divisions in American life are based on cultural issues, as well as radical changes in the nation's economy. I mean, wasn't that the whole logic of the book "What's the Matter with Kansas? How Conservatives Won the Heart of America," that GOP strategists were using moral, cultural and religious issues to distract Middle America from its true economic interests? Like virtually all Democrats, Tim Ryan is no fan of Donald Trump. But as he speeds through his northeastern Ohio district in a silver Chevy Suburban, the eight-term Congressman sounds almost as frustrated with his own party. Popping fistfuls of almonds in the backseat, Ryan gripes about its fixation on divisive issues and its "demonization" of business owners. Ryan, 44, was briefly considered for the role of Hillary Clinton's running mate last year. Now he sounds ready to brawl with his political kin. "We're going to have a fight," Ryan says. "There's no question about it." That fight has already begun, though you'd be forgiven for missing it. On the surface, the Democratic Party has been united and energized by its shared disgust for Trump. But dig an inch deeper and it's clear that the party is divided, split on issues including free trade, health care, foreign affairs and Wall Street. They even disagree over the political wisdom of doing deals with Trump. Every party cast out of power endures a period of soul-searching. But the Democrats' dilemma was unimaginable even a year ago, when Clinton seemed to be coasting toward the White House and demographic change fueled dreams of a permanent national majority. Now, eight months into the Trump presidency, the party looks to face its toughest odds since Ronald Reagan won 49 states in 1984. The Democrats are in their deepest congressional rut since the class of 1946 was elected, and hold the fewest governors' mansions -- 15 -- since 1922. Of the 98 partisan legislatures in the U.S., Republicans control 67. During Barack Obama's presidency, Democrats lost 970 seats in state legislatures, leaving the party's bench almost bare. The median age of their congressional leadership is 67, and many of the obvious early presidential front runners will be in their 70s by the 2020 election. Meanwhile, there's still no sign the Democrats have learned the lessons of the last one. Now, who better to tell Democrats what those sobering lessons were than the pros at the political desk at Time. Right? What we have in this cover story is the very essence of a religion "ghost," as defined in the first post in GetReligion history. Remember that? So read the whole Time piece. What is missing? Let me stress again: Of course economic issues play a major role in this political drama. Of course. But what other issues have pushed Democrats to the margins of heartland and Bible Belt life? Can you say "Supreme Court"? Read this next important passage and ask: What issues are missing from this vision? Today only 28% of House Democrats hail from states that don't touch the Atlantic or Pacific oceans, down from 37% in 2007. The survivors have tried to distance themselves from the party's leftward drift. "When I'm back home, I'm not talking party issues," says Representative Ron Kind, an 11-term Democrat from La Crosse, Wis., whose Capitol Hill office features pictures of him hunting. "I'm not on the stump bashing Republicans." This breed of Democrat is endangered but hardly extinct. Dave Loebsack, who represents a district in eastern Iowa, spent his August break from Washington meeting with rural farmers. John Yarmuth, the lone Democrat in Congress from Kentucky, focuses on his work to preserve Obamacare, which provides health care coverage to almost 500,000 low- and middle-income residents in his state. Cheri Bustos represents parts of northwestern Illinois, where she gamely pivots away from divisive issues like guns to local workers' families and business prospects at John Deere and Caterpillar, which both have big footprints in her district. Governing in Washington these days is "the most frustrating thing I've ever done," complains Senator Joe Manchin, a West Virginia Democrat. "Most of my life, there was about 20% on the right fringe and the left fringe, but 60% in the middle, where common sense would prevail. Now I'm thinking 40% on each fringe." Part of the problem is that red states are getting redder, while blue states are growing ever more blue. True, that. And these divisions are all about economics? Like this (even though the colors are off)?